It is not every day you get to see your work pass you by. However that is exactly what happened this week. Whilst minding my own business there it went driving past me as I sat patently waiting for the red light to turn green. 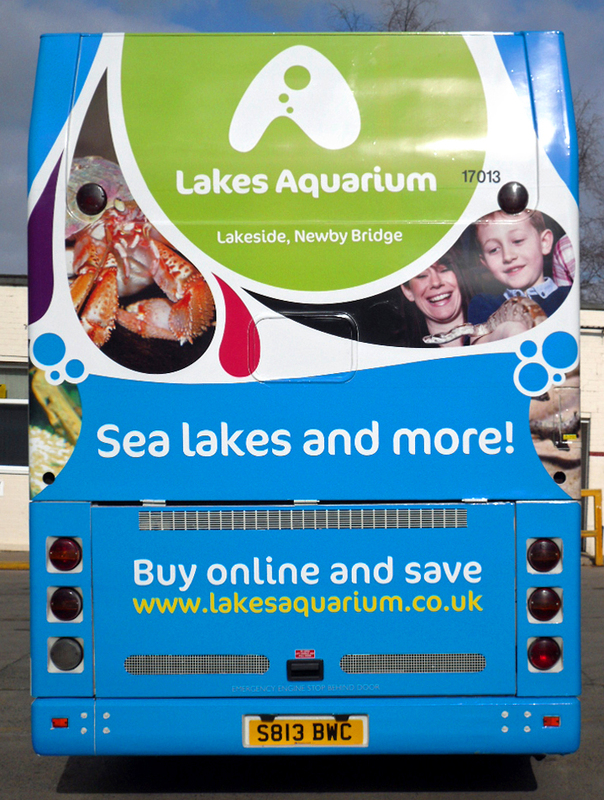 It wasn’t just any bus but one covered from wheel to roof top in Lakes Aquarium advertising. I have seen the designers work on it in the CuCo office. Heard them discuss, well, actually debate over cups of coffee, how best to situate the images maximising the exposure to people both driving and walking. However I wasn’t sure when it was going to print as I have been away on Holiday so it was a real pleasure to see the hard work from the guys drive past me and catch my eye completely out of the blue. I know I am bias however I must say it really did grab me. 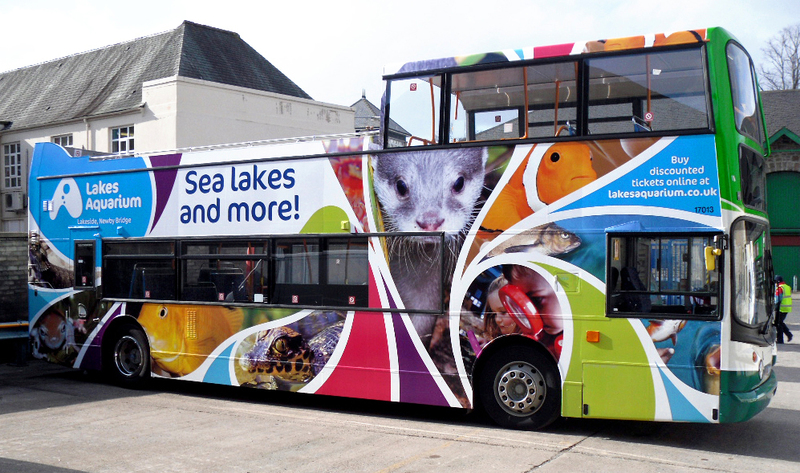 It was brilliant to see how vibrant the bus wrap was in real life, compared to seeing it smaller scale on my desk printed out or on the screens in the design studio. How the swirls designed to represent water drops and waves sit perfectly on the metal frame showcasing a fraction of the enchanting animals at Lakes Aquarium. The tinted patterns work really well with the images. Really capturing them. Don’t be shy to have a good oogle at the bus if it passes you by and look at our handy work.